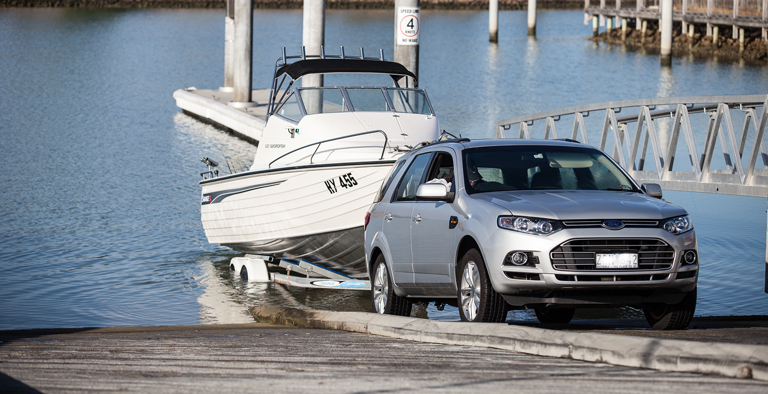 Launching a boat from a trailer and retrieving it (loading) are important skills. In each instance, the steps to be taken must be carefully planned and executed to ensure safety and to avoid damage to the vessel. Secure lines to the bow and stern, then either float or motor off with care. Always check for trailing ropes that may be caught in your propeller. Vacate the ramp as quickly as possible and park in the appropriate preparation area to finish securing the vessel for towing. Remember, secure your vessel to the trailer using both the winch and safety chain.